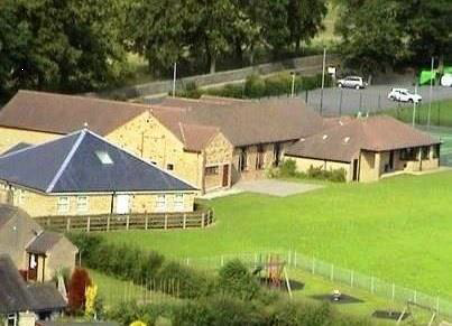 The Hall is adjacent to the local tennis courts, public playing field and a modern children’s play area. The garden patio sits on the edge of the field, providing ample space for both indoor and outdoor events. Hirers of the Hall can use the play area and field, but they are public areas so other people may be using the facilities too. In the summer cricket is played on the field. However, the pitch is on the opposite side of the field to the Hall so the cricket creates a nice backdrop to a summer event rather than interfering or being a hazard. Seating, a small marquee and stalls such as a hog roast can be set out on the patio area. It is okay if these items encroach onto the field a short distance as long as members of the public are not stopped from using the field in any way. Amy, the Hall manager, will be able to advise you about this. The adjoining Parish Sports Pavilion houses showers, toilets and changing rooms, which can be hired, subject to availability, via Ashover Parish Council to complement a booking. The Pavilion is often hired by theatre groups who are performing at the Hall. The door that adjoins the two buildings is at the back of the stage which makes the Pavilion the perfect backstage area. In the past wedding parties have rented one of the nearby fields from a local farmer to pitch tents and camp out. Some have also hired the Pavilion for a few hours the next morning so that guests who camped can use the showers. Please ask us for contact details of the local farmer if you wish to do this.